Results: Strains of bacteria from the genus Yersinia are infectious and virulent: Y. pseudotuberculosis causes intestinal distress, and Y. pestis causes the plague. To better understand and potentially design ways to mitigate Yersinia's effects on human health, researchers from Pacific Northwest National Laboratory, the J. Craig Venter Institute, and the University of Texas Medical Branch took on the task of refining the genome maps of three Yersinia strains. 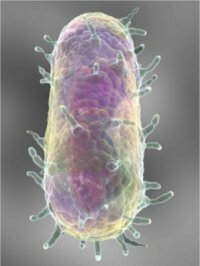 They used the proteome and transcriptome, collections of proteins and transcripts in the bacteria, to discover new information about the genome. Their results appear in PLoS ONE. The data confirmed the validity of nearly 40% of the computationally predicted genes and discovered 28 novel proteins expressed under conditions relevant to infections. In addition, 68 previously identified protein-coding sequences were shown to be invalid. "These findings showed that previous studies by the Yersinia research community, while correct, did not reach their full potential," said Dr. Alexandra Rutledge, former PNNL postdoctoral researcher and first author of the paper. "This can be compared to trying to solve a puzzle that has missing pieces. The annotations refined in our work represent the next step toward a total fulfillment of the Yersinia puzzle." Why It Matters: This new multi-faceted approach layers several types of evidence and substantially improves the genome annotation process. Importantly, the team's work established refined genome annotations that provide essential information needed for a better understanding of how the plague functions, may provide new targets for therapeutics, and should speed the characterization of other pathogenic bacteria. Methods: The team used proteomic and microarray data to study three related pathogenic Yersinia strains: Y. pseudotuberculosis and two strains of Y. pestis. Each bacterium was grown under conditions relevant to disease, and samples were collected over time. Each proteomic sample was subjected to protease digestion, strong cation exchange fractionation, and mass spectrometry analysis. Peptide data were searched against translations of all six possible reading frames of each genome using SEQUEST® software to identify the proteins present in each bacteria sample. What's Next? The improved genome annotations are enabling the scientists to perform more complete proteomics and transcriptomics work at PNNL's Center for Systems Biology of EnteroPathogens, a multi-institution center established to deepen fundamental understanding of the complex processes of microbes and their interactions with the host. More holistic analyses of plague biology should facilitate new strategies to prevent and treat bacterial pathogens. Reference: Rutledge AC, MB Jones, S Chauhan, SO Purvine, J Sanford, ME Monroe, HM Brewer, SH Payne, C Ansong, BC Frank, RD Smith, S Peterson, VL Motin, and JN Adkins. 2012. "Comparative Omics-Driven Genome Annotation Refinement: Application across Yersiniae." PLoS One 7(3):e33903. DOI:10.1371/journal.pone.0033903. Acknowledgments: This research was performed at the Center for Systems Biology of Enteropathogens at PNNL, which is funded by the Department of Health and Human Services/National Institutes of Health (NIH) National Institute of Allergy and Infectious Diseases through Interagency agreement Y1-A1-8401. Proteomics capabilities were developed with support from the Department of Energy Office of Biological and Environmental Research (BER) and the NIH National Center for Research Resources. Portions of this work were performed at EMSL, a national BER scientific user facility located at PNNL. The research team includes Alexandra C. Schrimpe-Rutledge, Joshua N. Adkins, Samuel O. Purvine, James A. Sanford, Matthew E. Monroe, Heather M. Brewer, Samuel H. Payne, Charles Ansong, and Richard D. Smith, all PNNL; Marcus B. Jones, Bryan C. Frank, and Scott N. Peterson, the J Craig Venter Institute; and Sadhana Chauhan and Vladimir L. Motin, University of Texas Medical Branch.